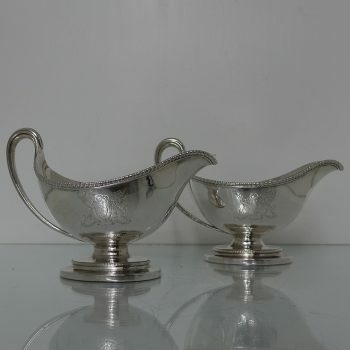 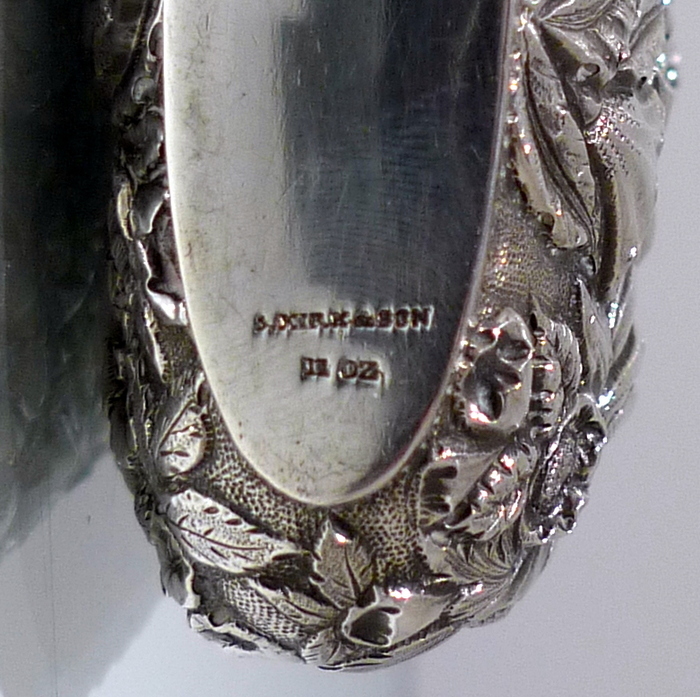 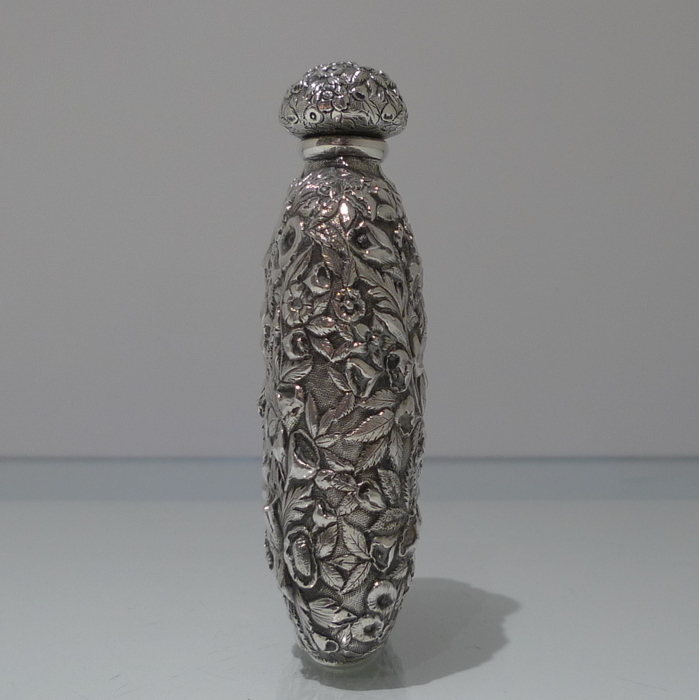 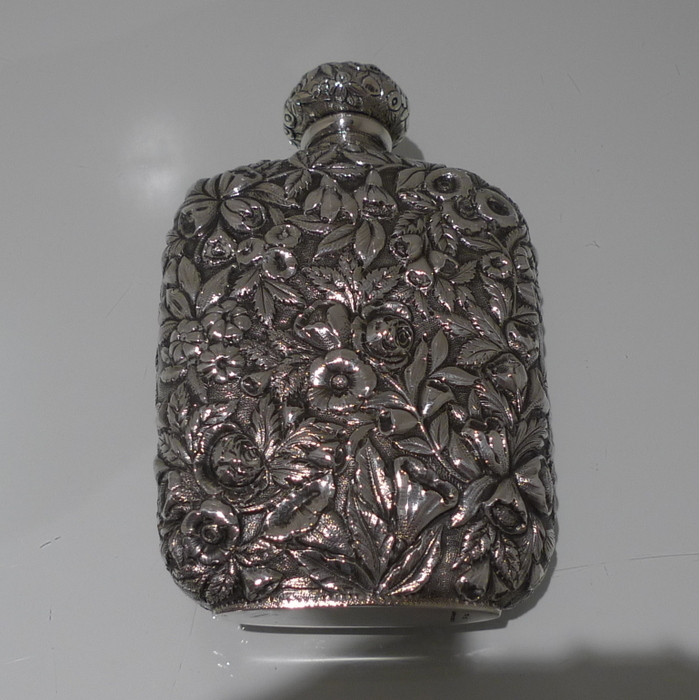 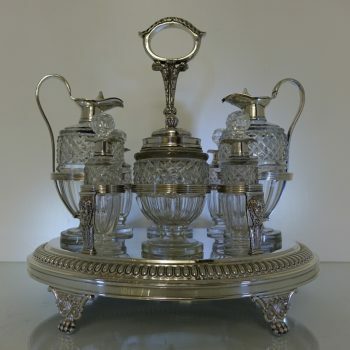 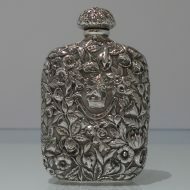 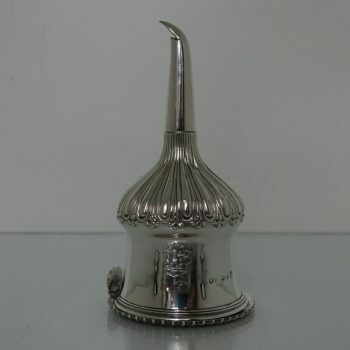 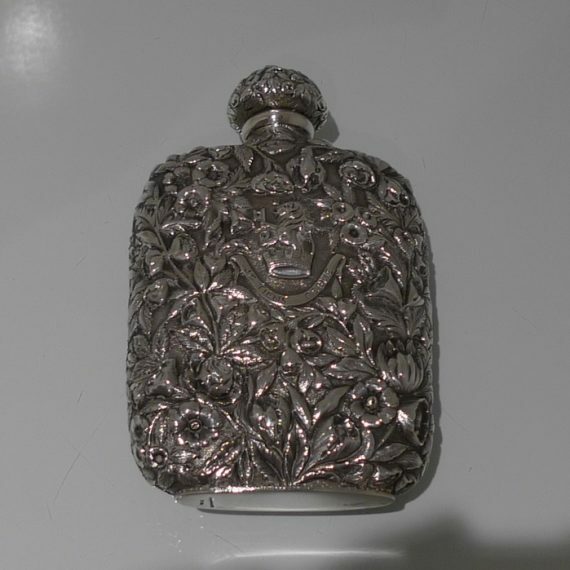 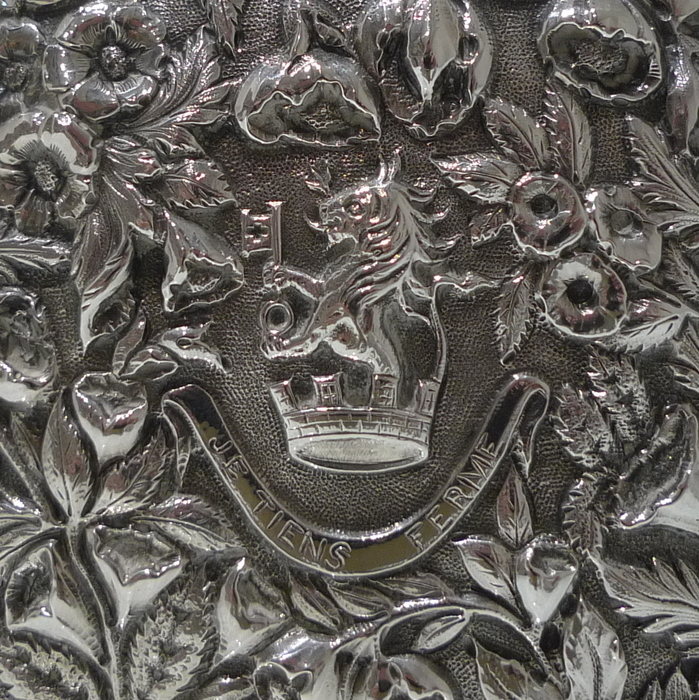 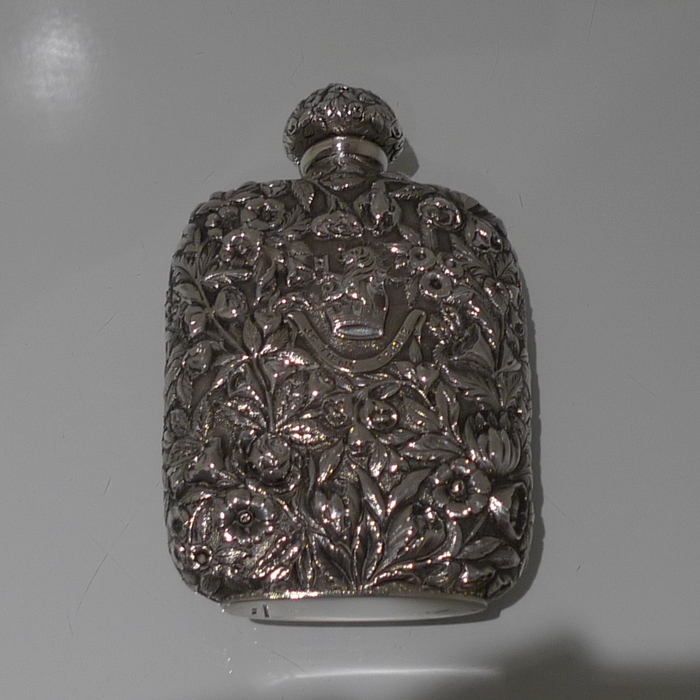 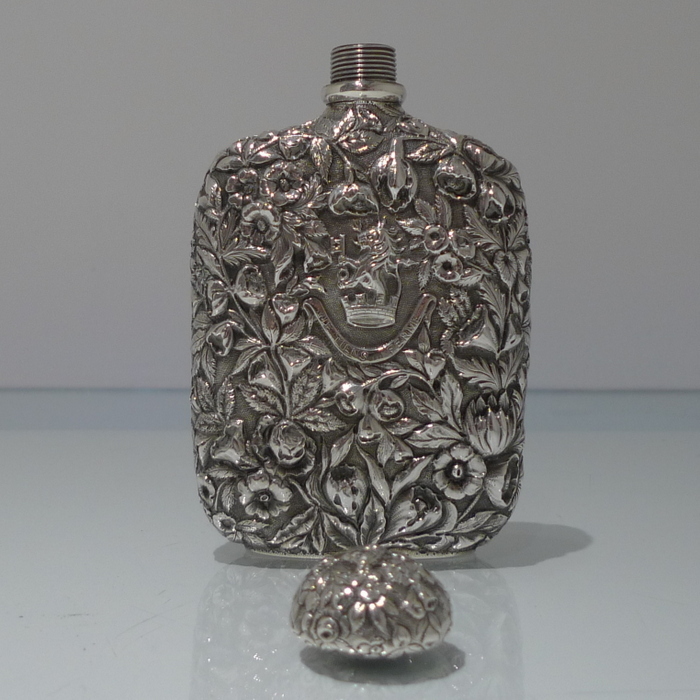 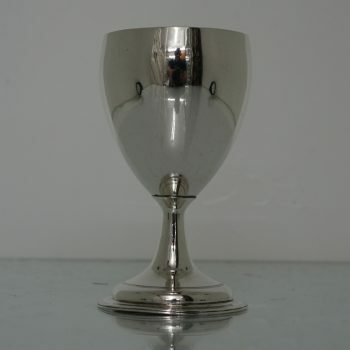 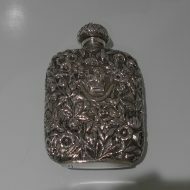 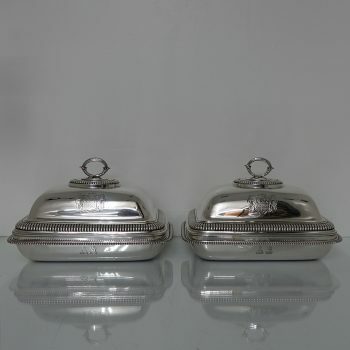 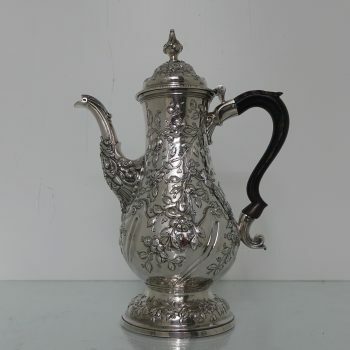 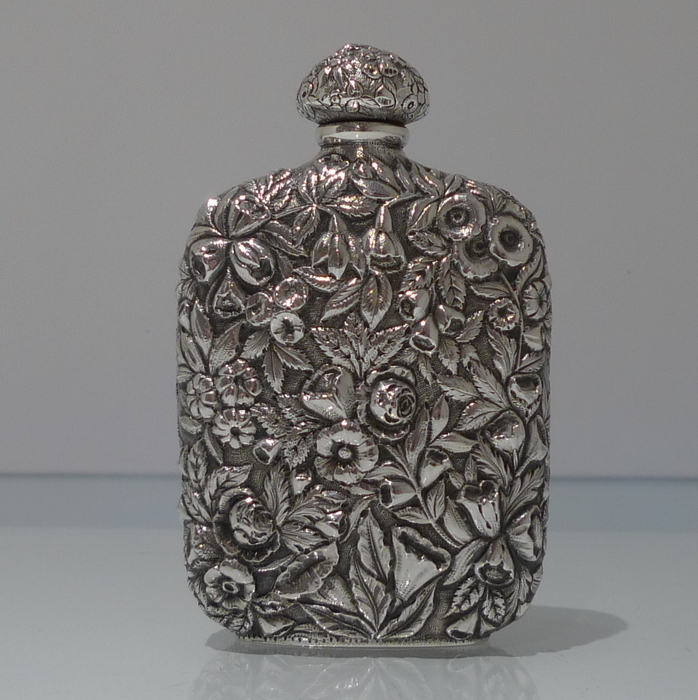 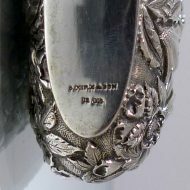 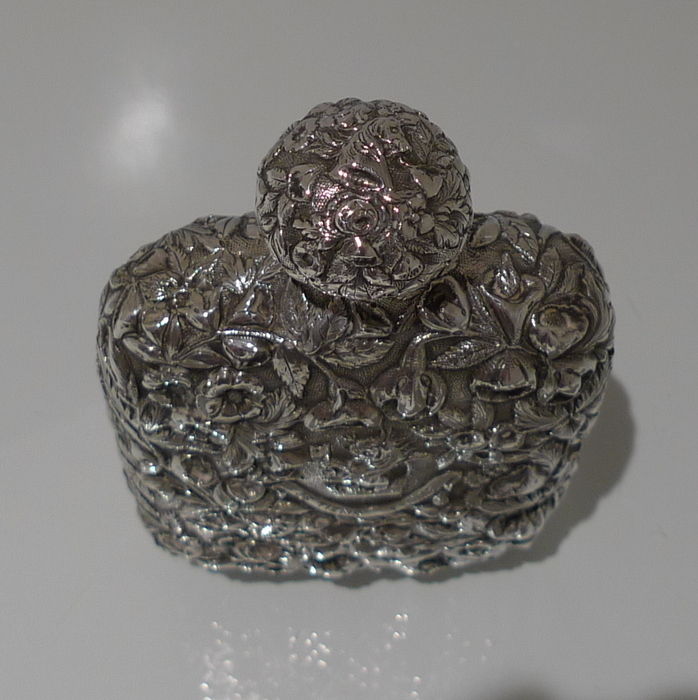 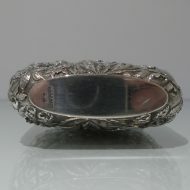 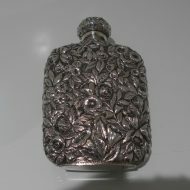 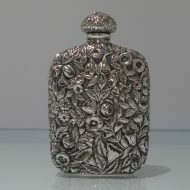 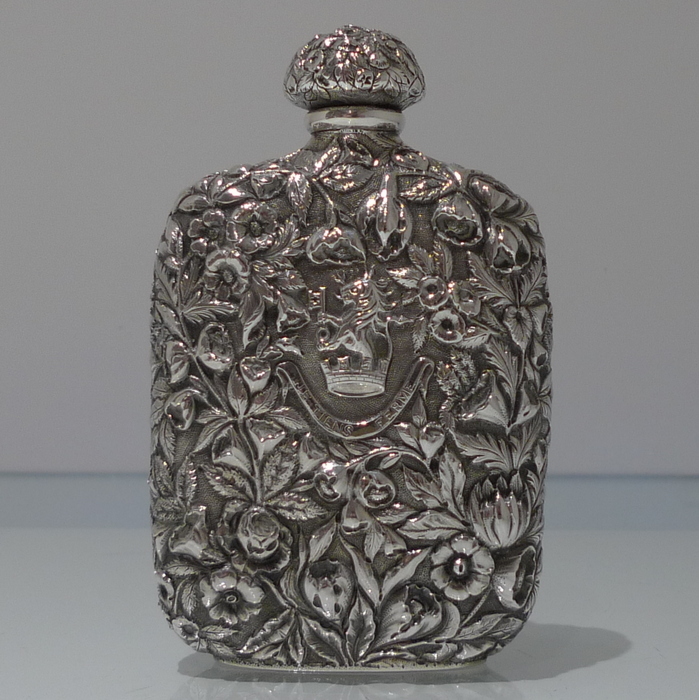 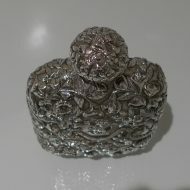 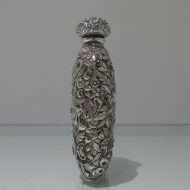 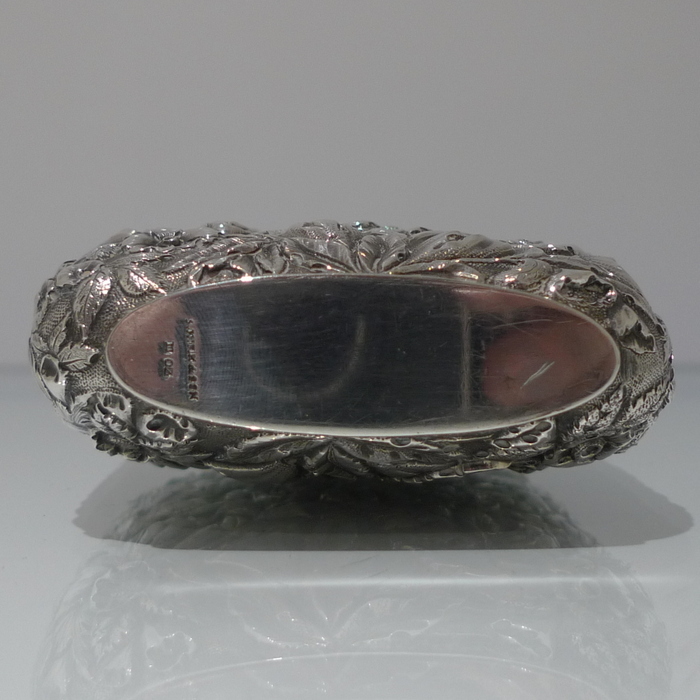 A very ornate and extremely rare silver screw top hip flask. 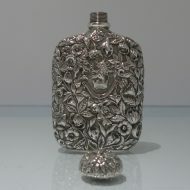 A very ornate and extremely rare silver screw top hip flask. 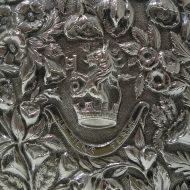 The heavily chased floral workmanship on the body looks strikingly beautiful against the matt back ground and centre front has a beautiful applied contemporary crest for importance.